If one is looking for a softer, more natural look, wood patio furniture can help make one’s outdoor space a little bit cozier. Exciting new contemporary designs can also transform a backyard into a stylish outdoor retreat that rivals any interior room of a home. With a wide variety of wood types to choose from, finding the wood patio set to suit one’s taste and practical needs is easier than ever before. Kingsley-Bate is one of the leaders in providing elegant and comfortable wood patio furniture. 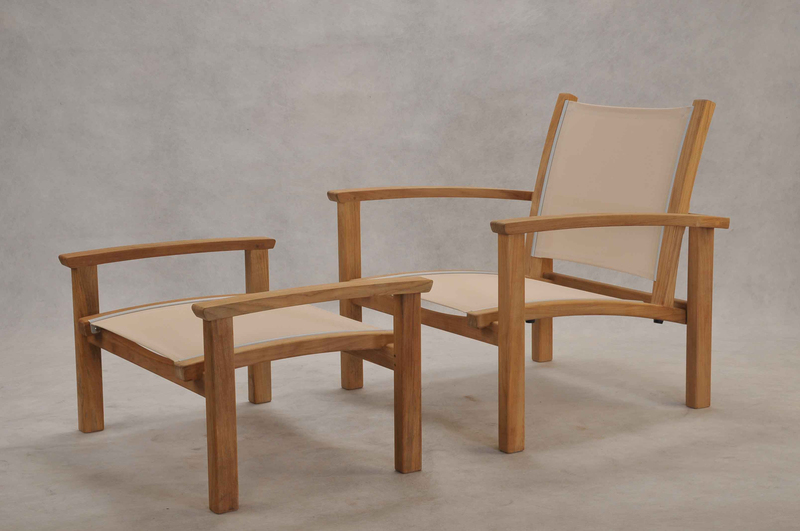 Kingsley-Bate’s St. Tropez teak sling collection was expanded recently to include a stacking club chair and ottoman. 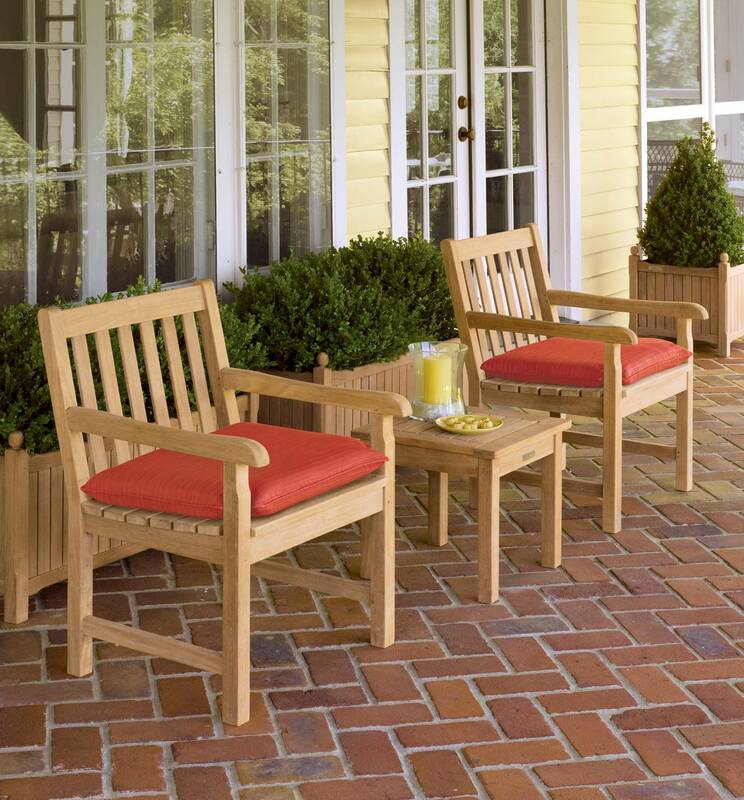 Designed with a solid teak frame, aluminum hardware and durable Phifertex fabric, this set is ideal for comfort, ease and is convenient where storage space is at a premium. Oxford Garden has been offering beautifully designed, high-quality wooden furniture at an exceptional value to the outdoor casual marketplace since 1997. Inspired by the English garden, the Classic Collection by Oxford Garden is elegant, charming, and comfortable. Crafted from Shorea hardwood, the chairs pictured here will resist weathering and last for years to come. They can be paired with Oxford Garden planters for a fashionable and peaceful outdoor look.